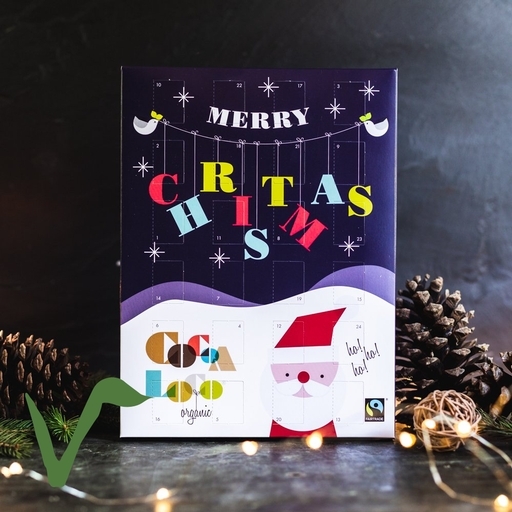 Count down to Christmas with artisanal British chocolatier Cocoa Loco’s dark chocolate advent calendar. Behind each door you’ll find a bite-sized Christmas shape, handmade from rich, intense organic chocolate. Treat yourself (or spoil someone else)! Sweeter tooth? You might like Cocoa Loco’s milk chocolate advent calendar. Store in a cool dry place out of direct sunlight. We bet it won’t stay there long.